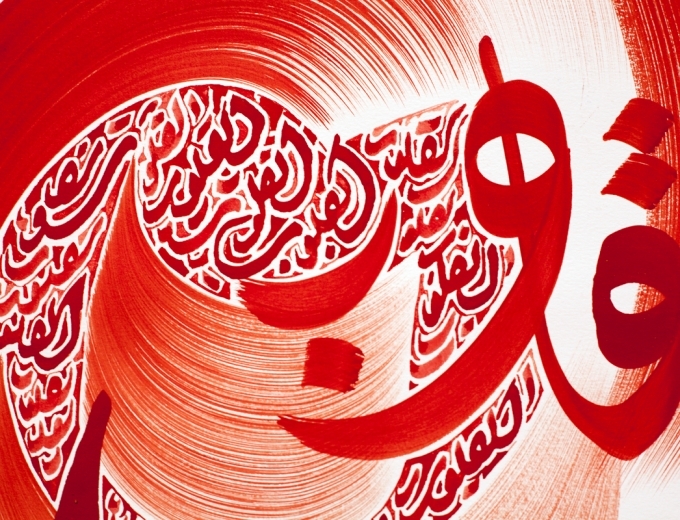 Classically trained calligrapher Hassan Massoudy inscribes oversized letters in vibrant colors on paper or canvas to create visually compelling works that bring traditional Arabic script into a contemporary context. 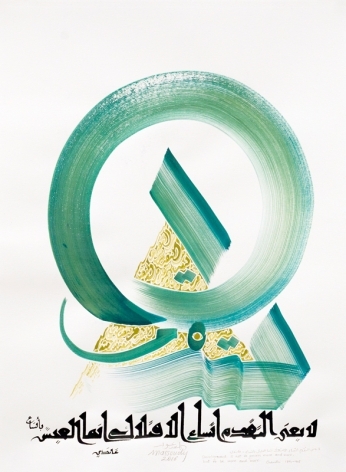 Massoudy sources words from Eastern and Western authors, poets and philosophers. 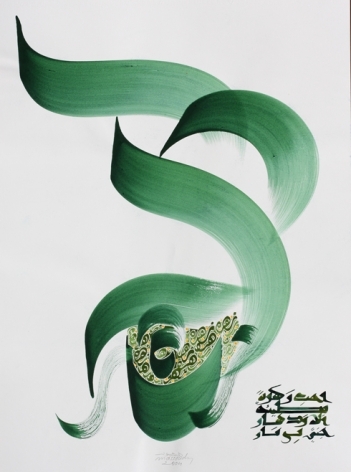 He selects a passage, which he writes at the bottom of the canvas or sheet of paper, then extracts a single word, enlarging it to monumental proportions over the surface of the canvas or paper. 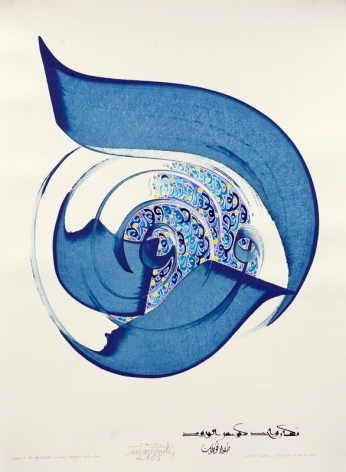 In accordance with tradition, Massoudy makes his own tools and inks, but breaks from the Arabic custom of using only black ink by incorporating a bold palette of blues, greens, yellows and reds. 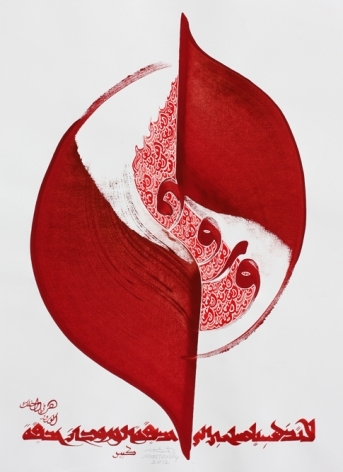 Although executed with the utmost control, his letters are gestural, fluid and charged with energy, as he skillfully transforms the written word into a pictorial element. 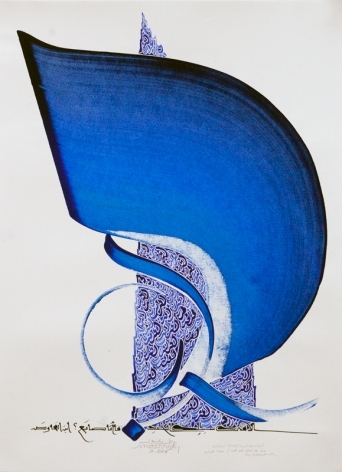 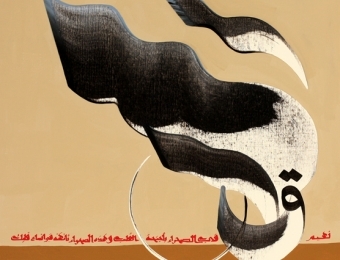 Massoudy studied classical calligraphy in Baghdad. 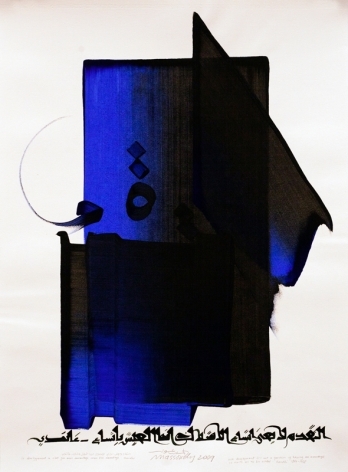 He moved to France in 1969, continuing his education at L’École Nationale Supérieure des Beaux-Arts in Paris. 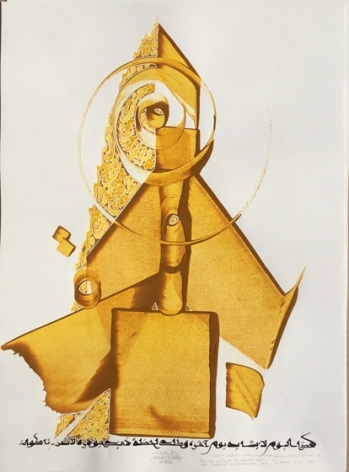 He has shown his work at The Kennedy Center, Washington, D. C.; the British Museum, London; Musée d’Avranches, France; Centre d’Art Contemporain, Abbaye de Trizay and the Palais des Congrès de Grasse, France. 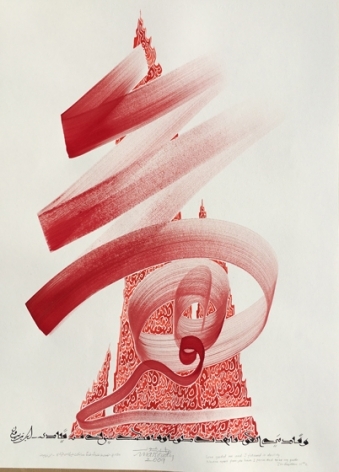 His work is in the collections of The British Museum, London; Asian Civilisations Museum, Singapore; and Musée du Quai Branly, Paris. 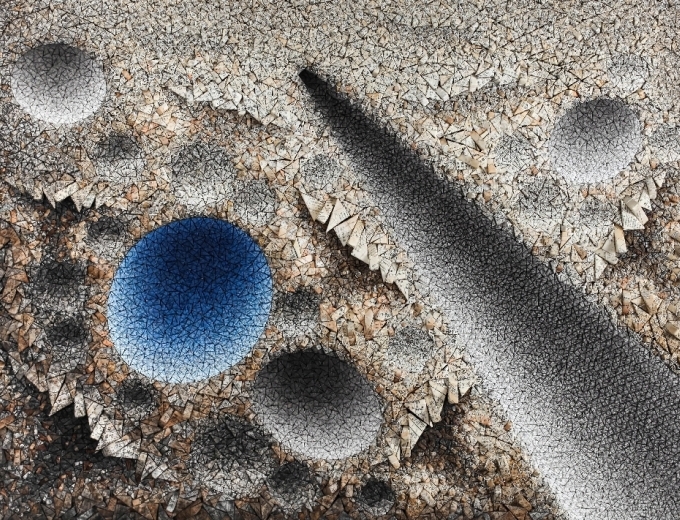 He has also shown at Sharjah Biennale 11, 2013 and in 2015, two of his works were included in Frontiers Reimagined, a collateral event of the 56th Venice Biennale.